"Architecture is both an art and a hobby, and it is constructive. Unlike medicine and some other professions, it is pleasurable. It deals with pleasant things rather than pain and sorrow." 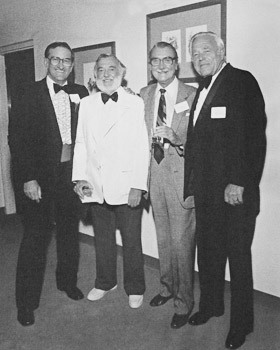 –Ralph Burgess Haver, AIA Jimmie Nunn, Ralph Haver, Ed Varney and Fred Guirey were inseperable friends during the heyday of Modern Architectural design in Phoenix, Arizona. 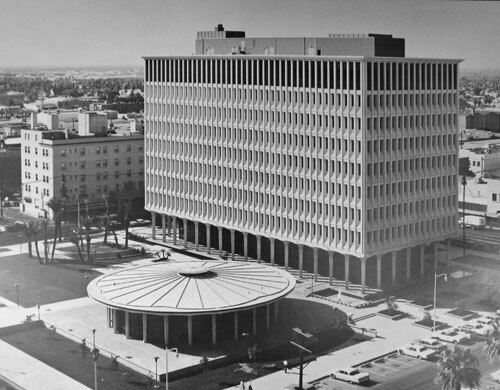 Ask any of the architects working in Arizona during the postwar period and they might chuckle at the mention of being categorized as Modernists. Ralph Haver's son Bucky put it best when he declared, "He wasn't being Modern, he was being cheap!" — a sentiment echoed across the interviews conducted for the research of this monograph. Economy is just a good constraint as any; what these gentlemen didn't realize was that their devotion to budget and eagerness to experiment with new materials and new forms is exactly what made them Modern in the hazy rear view mirror that is history. Ralph Burgess Haver AIA was a master of cost containment and eager to adapt new technologies, making him a favorite for commercial, civic and military commissions. He was keenly aware of what his contemporaries were accomplishing nationwide and sought to bring a taste of that sophistication to Phoenix. As his firm's work grew larger in scale and flowed with the tides of economy and taste, his relentless attention to designing single-family custom homes was a steady artistic outlet for decades, resulting in some of the most dearly loved and well-published custom homes the Valley of the Sun has ever seen. Marketed in their own time as Haver Homes, their value was immediate and aesthetics were gracefully unchallenging. Unchallenging is not used here in a pejorative sense. There was a general ease to everything he built, resulting in an effortless lifestyle that contrasted starkly with decades of pre-war hardship. Haver didn't seek to impose a difficult style upon a building's inhabitants, he sought instead to mold his design to the New American aesthetic. If ever Less was More, it was in his stripped-down contemporary ranch homes that took western ranch utility and adapted its principles to Modern forms. The scope of his firm's work combined with the deep reach of his own personal design experiments in housing make him one of the most prolific and celebrated Modern architects of the Southwest Region. His architecture was intended for everyone's enjoyment, making Ralph Burgess Haver Everyman's Modernist. This website and the resulting book "Ralph Burgess Haver: Everyman's Modernist" has been made possible through the generous contributions of Jimmie Ray Nunn, Vice President and Director of Public Relations for the Haver & Nunn partnership for over 30 years. Oral histories were gathered from Jimmie Nunn, Steve Haver, Bucky Haver, Gary Nelson, Gilbert Comon, Herman Orcutt, Bob Frankeberger and Frank Henry. The Haver family has supplied hours of interviews, correspondence and access to personal photography from the family collection. We are deeply indebted to their generosity in access to information and permission to reproduce imagery in the production of this website. Journalist Jennifer Gunther performed much needed research, interviews, and writing as an intern in 2011, and Matthew King designed the first edition of the book. If the parts of this website feel oddly familiar (like the Wikipedia article on Ralph Haver) it's because Alison King of Modern Phoenix wrote most of the Wikipedia article in 2008, then updated it with text written primarily for a first limited edition book in 2011. Please contact Alison King before reproducing text or imagery from the Ralph Haver Archive, as it has been modified beyond the Wikipedia edition. 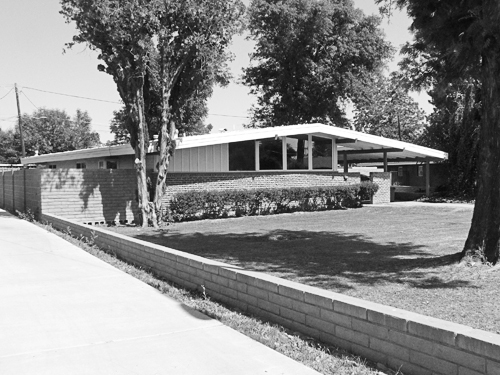 All other imagery not part of the Haver & Nunn collection and the Modern Phoenix Archive has been gathered from sources such as the Arizona Republic, Arizona Days and Ways, Arizona Homes and Buildings, Arizona Builder and Contractor and other local newspaper and magazine sources. Images are reproduced in this context under fair use for journalistic reporting. We would not advise and do not endorse reproducing any imagery contained herein for commercial purposes.